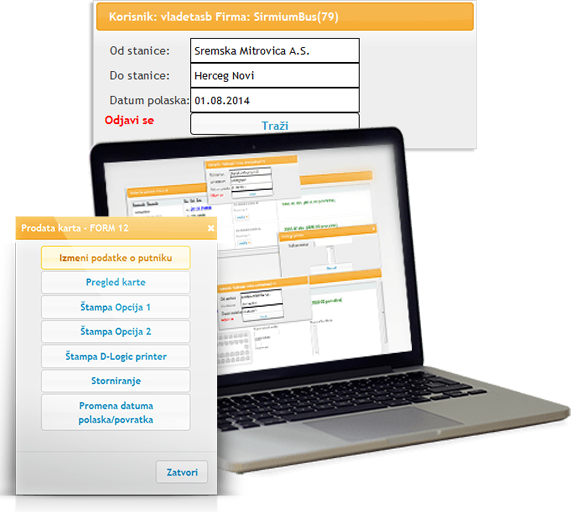 BusLogic Booking by PC is system that requires minimal technical requirements for the operation. For this system, you need only internet, computer and an ordinary printer. This system was developed for the needs of bus carriers that maintain international lines for which they need additional information about the passengers as well as passengers' names, passport numbers, etc. and also have a large number of sales outlets outside of their companies. Since most bus carriers with international line has a lot of external consultants or agencies which also conducted sale of tickets for the same international lines, this system is so designed that with minimal technical requirements of all agencies may at any time to have an accurate picture of the availability of seats on the bus, the number of departures, seating on the bus and all other information necessary for a successful synchronized ticket sales in several places at the same time. The possibility of the sale of all types of tickets (single, return tickets, all kinds of tariffing and discount cards, all kinds of ticket reservation, options for the sale of open and closed return tickets when passenger knows the exact date of return etc.). The ability to print a list of passengers required for international lines with all the additional information within and seating arrangements on the bus, passenger entry points and other information. 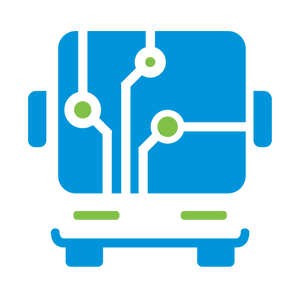 The ability to easily and simply changing the number of departures, the carrier that performs departure in the case of lines in cooperation, replacement buses with more or fewer seats. A detailed list of distribution of seats in the bus and the passengers who are in it, list of end stations and etc. Easy and simple replacement of the date of departure and return date. Customizable print mode and look of the ticket according to the requirements of the bus carrier. Detailed planning of vehicle and departure to each carrier.